Political forces and the academic world have put forward three federal proposals for changing Spain’s current model of territorial organisation via constitutional amendment. Light federalism advocates some modifications to the system of allocation of powers, the Senate and regional financing, but without altering existing constitutional bases. 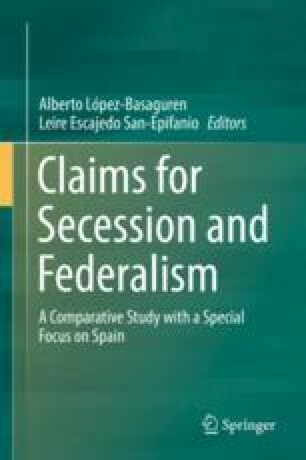 Serious federalism proposes the creation of a federal State following the original models, adopting a federal Constitution with a reform facilitating the participation of Autonomous Regions in the amendment process, and a new organisation and functioning of State powers following the federal idea of self-government plus shared government. Plurinational federalism defends constitutional recognition of the plurinationalism of the State and its translation at a symbolic, competence and institutional level, as well as the introduction of formulae of federal asymmetry. It is probable that none of the three proposals will succeed due to lack of political and social consensus, and certain that none of them provides a definitive solution to the territorial question, which in Spain is closely linked to the national question. It may only be possible to find a temporary solution combining aspects of the three federal proposals.